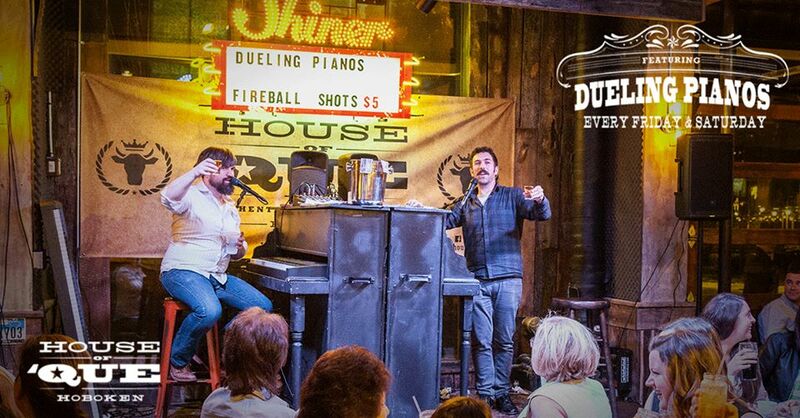 There have been several attempts at Dueling Pianos in Hoboken, NJ, but none have lasted very long. This room has been going since March of 2016, and we have high hopes for it. 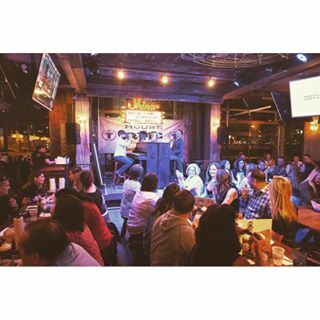 Equipped with 2 upright pianos on a small stage, a modest sound system, and a night that begins with a dinner crowd, and a show that ends at 11 PM, you might be understandably skeptical. And yet, this room really works! Hoboken is a young town, just across the Hudson River from Manhattan. While it is an expensive town to live in, it's cheaper than Manhattan, and young, well-paid Manhattan professionals move here to get more space than they would score in the Financial District or Midtown. 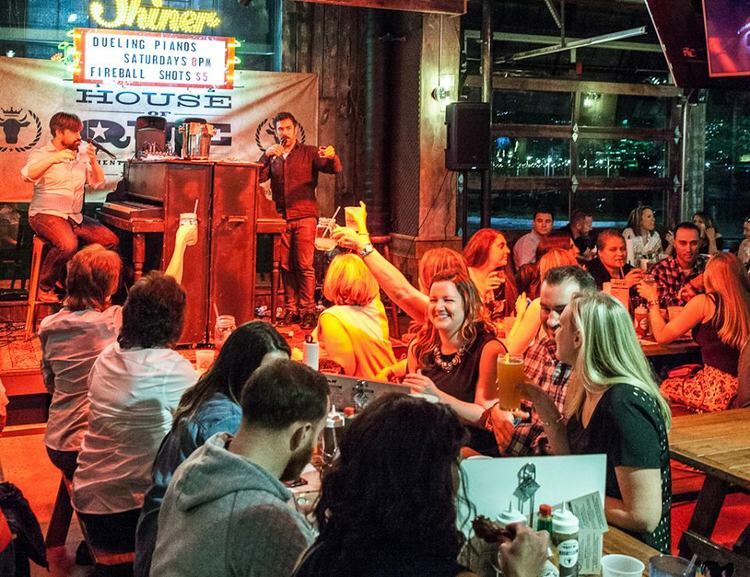 Off a couple blocks from the late night bar scene of Washington Avenue, this Texas BBQ joint has developed a nice following among locals and their guests, and this dueling piano show does well. On a recent weekend night the family-style picnic tables were full with 30-somethings, the pianos were covered with requests, and the crowd was singing their hearts out to 90's music. Come early, as the show must stop at 11pm due to a noise ordinance on the waterfront. After 11, they have a DJ that spins until 2 am. Also, bring an appetite, as this is some of the best BB-'Que in New Jersey.